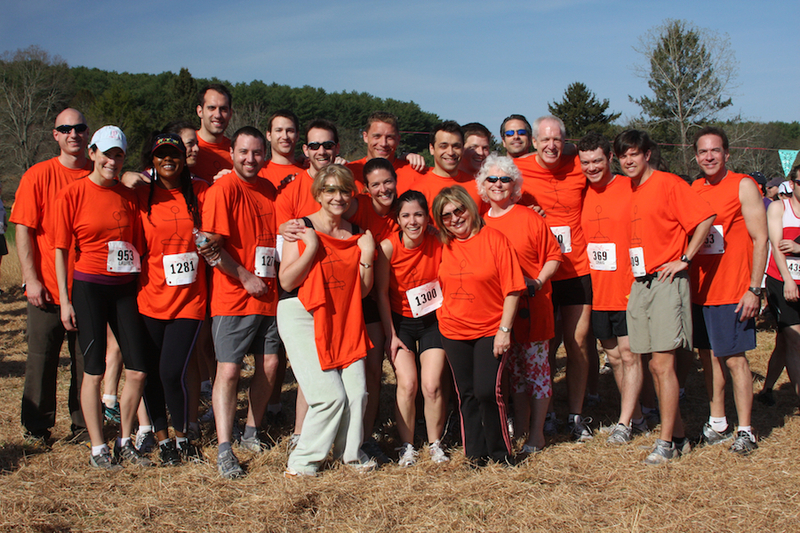 Group Photo Gallery – Submit Your Group’s Photo! The Loop is popular with groups of all sizes. There are running clubs, co-workers, school friends, local clubs, families, and combinations of all of these that run the loop every year. We’d like to highlight them in this article. No group is too small! 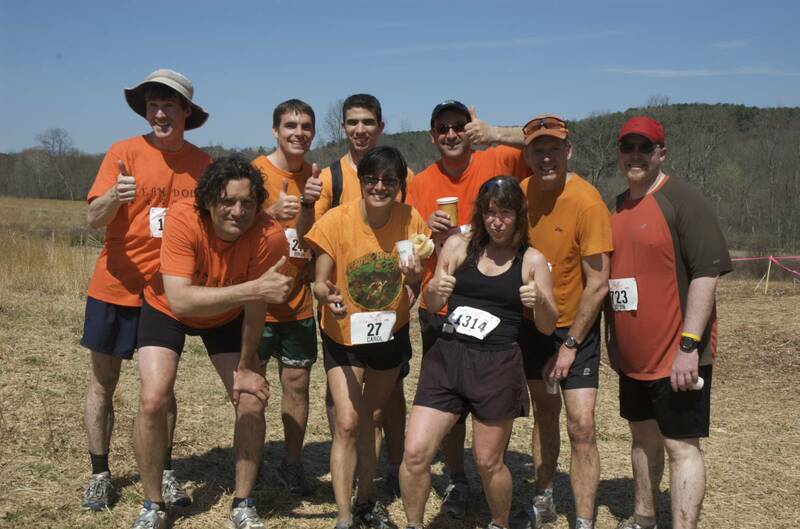 If you have a group photo from this year’s loop (or if you can dig up one from a prior loop), send it in to us with the name of your group and the names of the folks pictured. If your group has a pied piper, a shared story, or a particular inspiration or passion, send it as well along with as much background information as you’d like. You can send it all to us at leathermansloop [at] gmail.com. Groups will be added below, click “full article” link to see all groups. 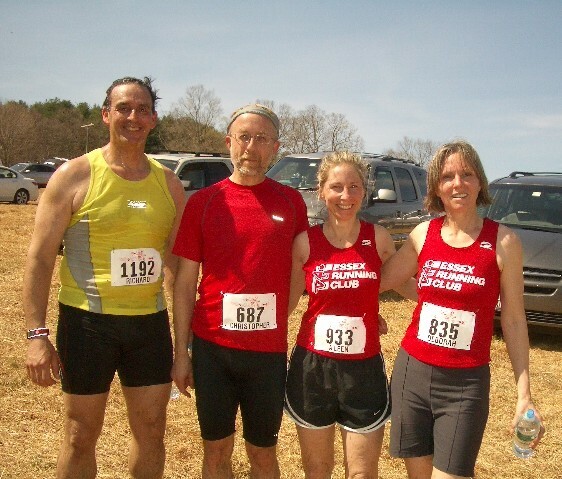 The Essex Running Club featuring from left to right: Rich Unis, Chris Jaworski, Aileen O’Rourke, and Debbie McNally. 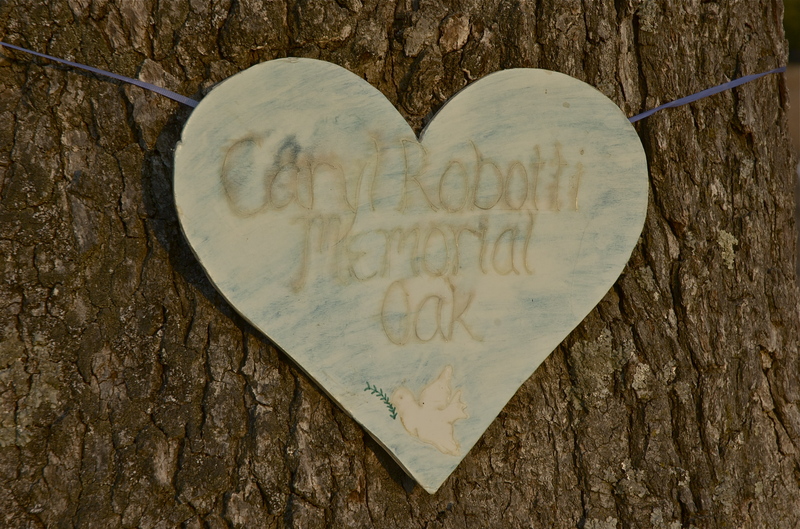 Family and Friends of running in memory of George Chatzopoulos, a loop enthusiast who died while surfing in March 2009. 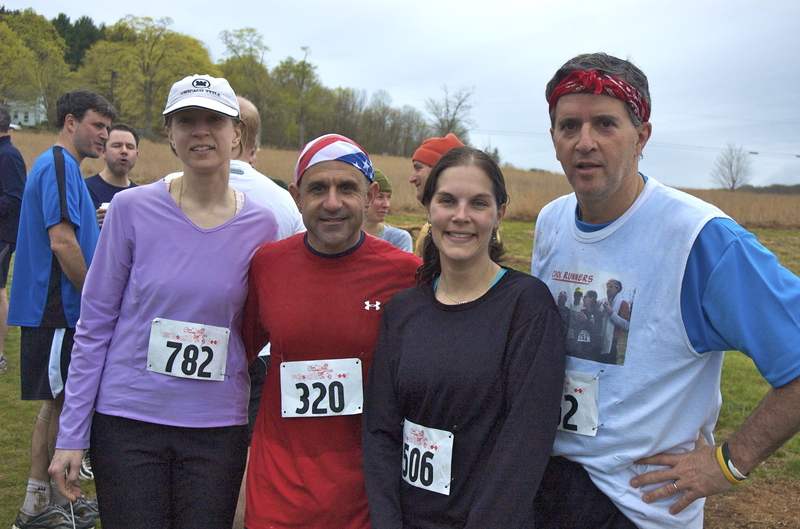 Team Doug, running in memory of Doug Gorman (left to right): John Partilla, Tom Gorman, Carol Gamez, Bridgette Gorman, and Neptune Gamez-Citron. my entry is in the mail ….just have to run that marathon up in boston before the leatherman 10k…the dead squirrel runners will bring their virgin leatherman loop runner..we may have two virgins this year to sacrifice up to the leatherman….the high water table is great news..we may surpass last year’s great race….my most memorable race would be the 2001 race: Caryl Robotti was too sick to run—but she came out to cheer on the runners—she was also on the scene when Buck got hit by a deer—she helped bring him back to the aid station….the next week caryl and I eloped (after going out together for 14 years ) and got married( it was not easy trying to keep our marriage plans secret at the leatherman with all of our running friends there )….her cancer overcame her in december 2001….i will always remember her cheering me on as we enter the woods….Leatherman was Caryl’s favorite race…..SHE WILL ALWAYS BE THERE—-CHEERING ON THE RUNNERS.